In June of 2015, Treasury Secretary Jack Lew announced a change in the face of the Ten Dollar bill. Scheduled for release in 2020, the image of Alexander Hamilton will be replaced by a woman, whose identity was yet, and still is, to be announced. And of all Americans who have come and gone, Mr. Lew and his associates chose one of the most gifted and heroic of the Founding Fathers. Alexander Hamilton, one of the signers of the Declaration of Independence, was born out of wedlock in the West Indies, and orphaned at a young age. He journeyed to New York City and eventually with the financial support of wealthy benefactors, who recognized his talents and ability, attended King’s college, today Columbia University. Hamilton served and played an important role in the Revolutionary War, and soon because of his prowess and courage, became the aide de camp to General George Washington. After the war Hamilton was elected to the Congress of the Confederation of New York, but soon resigned to practice law. In 1784 he founded the Bank of New York, established a system of tariffs and trade relations, and in 1789 was appointed the nation’s first Secretary of the Treasury by President George Washington. Hamilton was instrumental in developing much of the structure of the government of the United States by the time he left office in 1805. And for those who might view the Founders through a racial lens, Alexander Hamilton was an abolitionist who decried slavery. 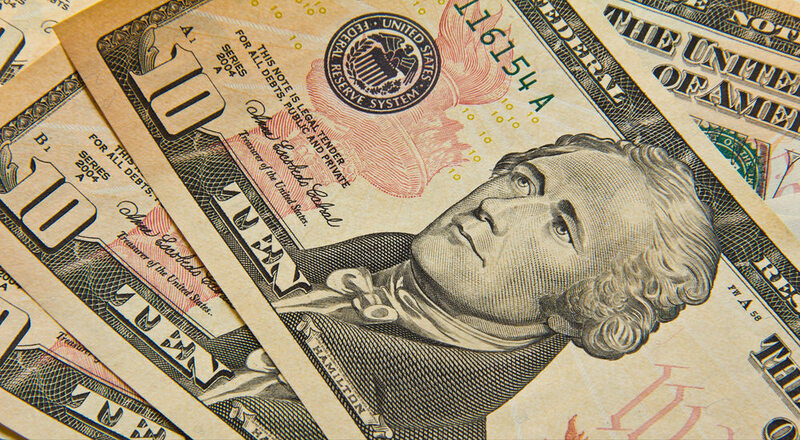 Hamilton’s principles of currency were adopted by Congress, resulting in the Coinage Act of 1792 and the creation of the United States Mint. In 1801 Hamilton, one of the authors of the Federalist Papers established the New York Post as a Federalist newspaper then called the New York Evening Post by Alexander Hamilton. Upon word of the change being made public, many voices spoke out in defiance and some formed associations to fight for the preservation of Hamilton’s image on the currency; they believed this to be an outrageous, disrespectful act, and just another politically correct imposition at the expanse of a highly regarded, great patriotic American. One of those who became enraged at the prospective change is former Fed Chairman Ben Bernanke who said he was “appalled” by Treasury Secretary’s Lew’s decision to have Alexander Hamilton replaced. Revisionists seek to erase from our collective memories and the history books, all vestige of this nation’s true founding, and of her architects. Now you might ask what could possibly be the motive for this offensive change; actually it has been building up over time and Hamilton is just another victim, and it is now reaching a crescendo under the aegis of “white privilege”. It is no longer a subject for debate in post modern America; white people, the white man in particular, has devolved into a cultural outcast, a pariah if you will. Never mind the fact that this descendant of western civilization has been at the forefront of progress and innovation, his inventions in medicine, the sciences and technology have saved lives, taken us to the moon and beyond, and paved the way to prosperity for millions, and have had a tremendous impact the world over. The mainstreaming of “white privilege” is upon us. From an academic prospective, universities are rife with hostility and derision toward whiteness by students, professors and administrators; there are classes that are devoted to “critical race theory”,” whiteness studies”, all to perpetuate the imposition of white people, their societal privileges, and racist past and present. If you ask me, it’s the big excuse, all about having a scapegoat (white folk) for a lack of initiative and failure of people of color. Someone once said, “When the judgment is weak, the prejudice is strong”. The naysayers, malcontents, and those that would divide the races and revise history, seek nothing more than to find a scapegoat for failure. Yes there have been mistakes and transgressions along the way, but it was white men through courage and fortitude, which laid the foundation of this great nation, and placed into the Constitution the means to one day eradicate the evil of slavery. Now the ultimate indignity, remove all trace of this white plague, this lout, from the public square, he deserves no quarter; even a great American like Alexander Hamilton, who in the minds of the liberal elite is not even worth a sawbuck.